India – The land of colorful culture and people, is one of the most visited tourist attractions in the world. Ancient forts, palace, temples, to variety of sandy beaches, the land of India has several attractions that have enticed millions of tourists who flock to India each year. India is a melting pot of different cultures, customs and the festivities are one of the most important parts of the people’s lives. While it can appear chaotic at times, travelling to India is truly a spiritual experience. Being a developing country, India is an affordable place to explore. If you wish to visit India, here are some tips that can help you to not exceed your budget on this adventure. Haggling is a widespread practice commonly observed in the Indian consumer business. Your daily living necessities from clothes, souvenirs, taxi fares, vegetables, groceries, the Indian sellers and business owners are open for price negotiations. Skillful hagglers can make the sellers come down to almost half the mentioned price. If you’re worried you might be in danger of getting haggled into a poor price, ask for the help of the local Indian women who are known for their excellent bargaining skills. Like most things in India, getting around Indian cities is considerably cheap for most tourists but avoid booking your taxi from the hotels; their prices are considerably higher and can involve several hidden costs. It is best to look around the town you’re in for taxi services. Using the local cycle rickshaws and local buses are the cheapest ways to travel long and short distances in India. Taking an auto rickshaw is considered a good way to get around if you know how to haggle well; drivers tend to demand extra fare from foreign tourists but haggle your way around it. Speaking confidently like you won’t be taken advantage of can help to stop a problem from even happening. The expense for your stay in India depends largely on your level of adjustment. Accommodation services can vary greatly from being extremely cheap to extraordinarily expensive. Since the currency conversion rates are usually low for most foreign currencies, India can be a dream for budget travelers. Make sure you arrange your stay after consulting with a reputable travel agent or a knowledgeable local to avoid being charged unnecessary extras. Tourist destinations in India can have several luxury hotels which are comparatively cheaper than other countries; this is something that you should consider taking advantage of. While this is not generally advised (or easy) for most first time visitors, befriending a local can save you a lot of money (and perhaps more importantly: time) in India. 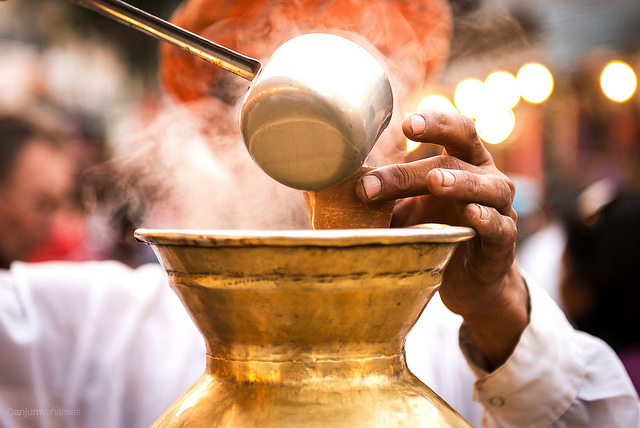 A local can help you understand the customs and the practices in India and can help you learn the art of bargaining. Indian street food can often be a bit heavy on the stomach and can cause trouble for new visitors who haven’t yet sampled Indian cuisine (there is nothing like it in the world if you’ve enjoyed Indian dining outside of India and want to try the real deal). The food prepared in Indian homes is most often fresh and lighter on the stomach when compared to street foods. While cheap accommodations are available in India, staying at a local’s place can save you a lot of money and patience. When buying any packaged items such as a bag of chips or bottled water, make sure that you check the maximum retail price mentioned on the package to avoid being overcharged by the Indian shop owners or vendors. Most Indians vendors assume that foreign tourists are wealthy and will often try to extract more money for low-priced items. Several shop owners often charge extra for a particular item due to the lack of competition in that particular area, caution is advised. Travelling to India can be a challenging experience that can test your body and mind. However, it is one of the most-favored locations for tourists all around the globe. The culture and spirituality of India is something that can only be experienced after embracing the various customs and immersing with the people during times of celebration. The above-mentioned tip can not only help you get the best out of your vacation but can also keep your holiday budget in check while visiting the colorful country of India.